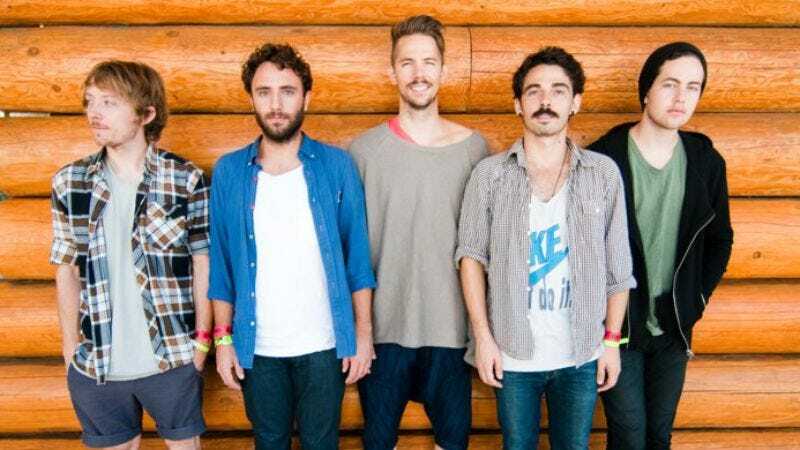 Local Natives' Gorilla Manor could have easily scored points with the Hype Machine hive mind based on a handful of qualities the band shares with some of the more popular indie acts of recent years—the choral harmonies of Fleet Foxes, the carefully considered arrangements of Grizzly Bear, and intermittent bursts of Broken Social Scene bombast. However, the band rises above the dregs of pale imitators, thanks in part to a lively rhythm section spurred on by the serpentine playing of bassist Andy Hamm. Speaking to The A.V. Club from the band's home base in Los Angeles, Hamm discussed Local Natives' decision to self-fund Gorilla Manor, the reason he can't take credit for every bassline on the record, and why one song in the band's set at the 400 Bar tonight might sound a little familiar, though you won't know why.